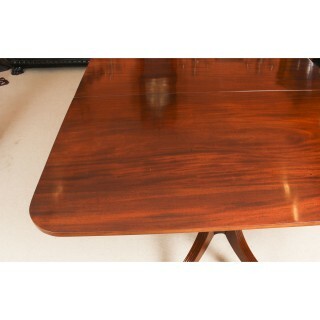 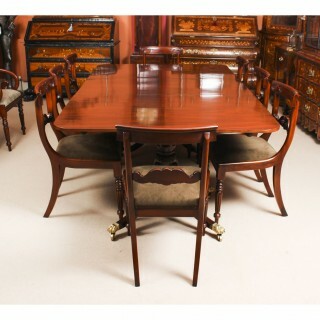 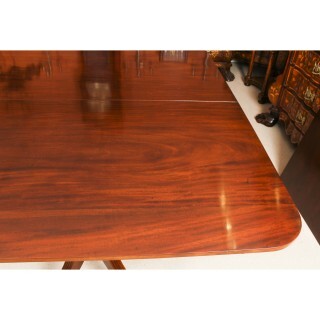 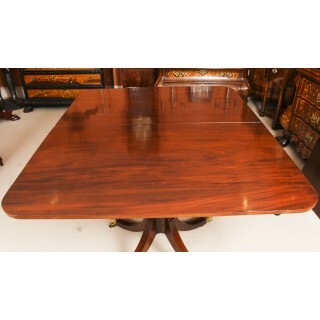 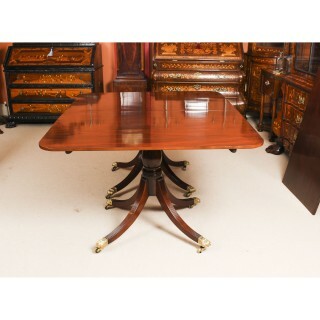 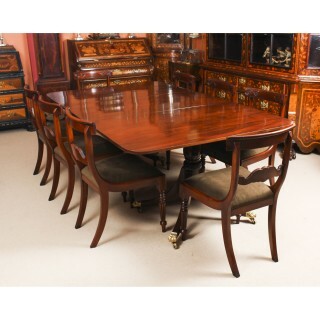 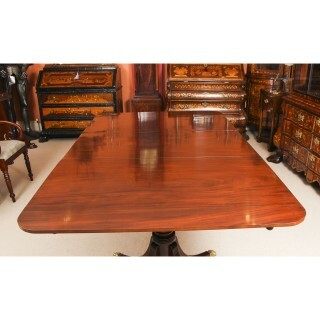 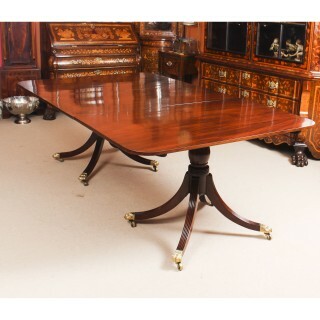 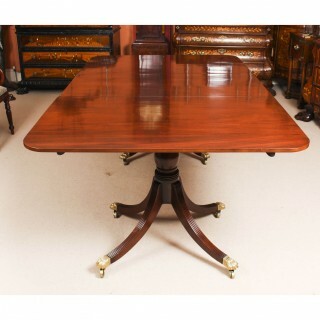 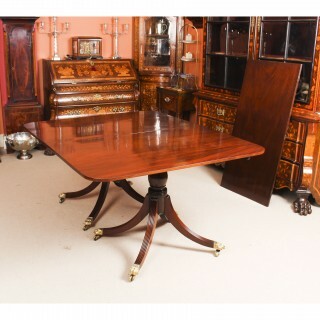 This is an elegant antique Regency dining table that can comfortably seat eight people, dating from Circa 1820. 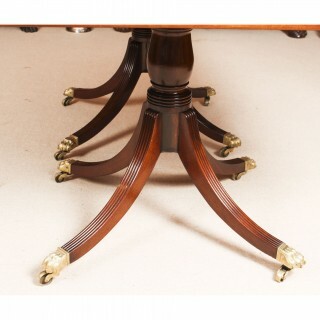 The table has one leaf that can be added or removed as required to suit the occasion and stands on twin “gun barrel” turned columns on quadruple swept sabre leg bases which are fitted with brass lion’s paw toes and castors. 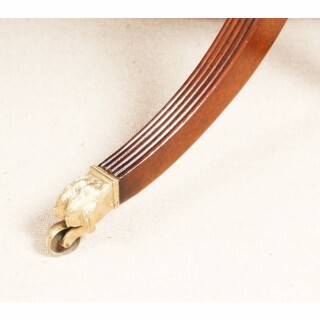 The chairs shown in the photographs are not included in the price, but are available if required. 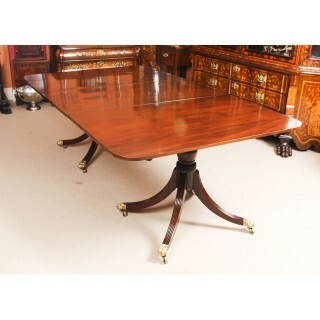 was first mentioned in the Domesday Book and the current house dates back to circa 1750. 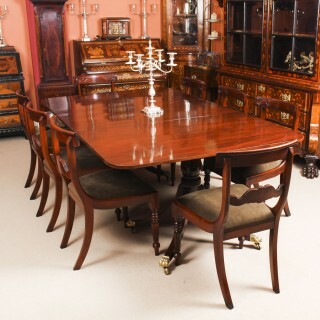 Its east wing was added in the 19th century. 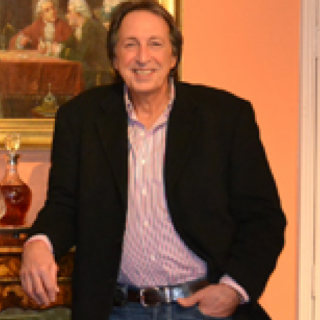 Meanwhile, the magnificent Temple Garden was built in the 1840s. 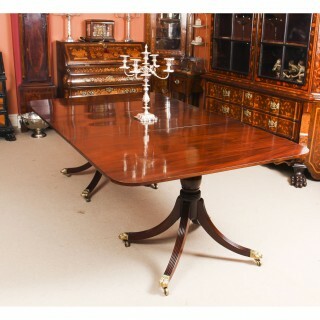 The Grade II* listed property’s formal gardens include a temple and orangery.